This was Jefferson’s loved ‘Sweet & Shriveled ‘ corn. This corn was given to us from Jefferson’s home and museum....Monticello!! It stared with two dried ears that was harvested at Monticello.... and now we are honored to provide it to you ! 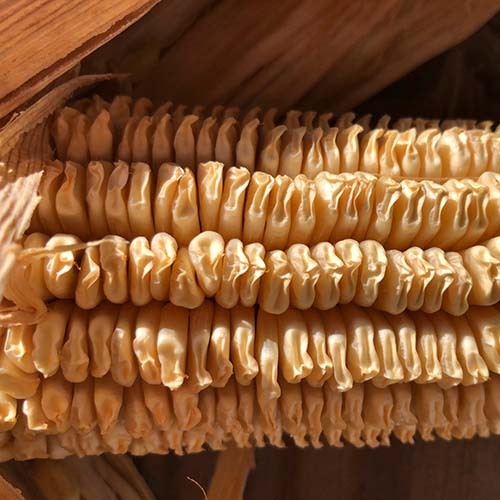 This corn originated from the Lewis and Clark expedition and found its way to the President. According to Monticello it came from the Dakota tribes. Jefferson wrote about this corn . It is a white gourdseed corn variety. We are new to Sweet & Shriveled but from what I can tell it is a 120-130 day corn with beautiful large white ears 8-10 inch’s. Plants grow 10 -12 feet. 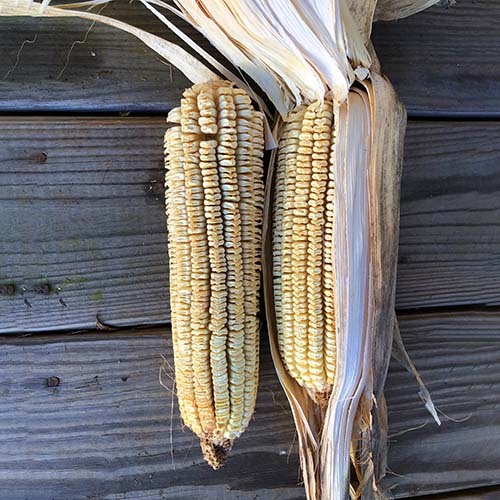 This corn was re introduced to Monticello and was graciously given to Railey Farm & Field.